The Christmas songs are on and I love 99% of them! Unfortunately, for a top 10 list, that means I can only choose ten so here goes. 5. Band Aid 1984 - Do They Know It's Christmas? What is your favourite Christmas song? Yorkshire based mum of 3 gorgeous little ladies. T, born April 2013; L, born July 2015; and R, born July 2016. 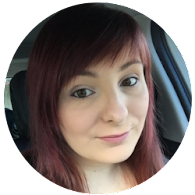 I blog about being a mum, family life, parenting and all things related. Check out my "About Me" page if you want to know more! Share the love by adding this badge to your sidebar or blogroll.